If you’ve ever been anywhere near a gym it’s likely you’ll have turned the idea of investing in a personal trainer over in your head. It makes sense. With the right person supporting and guiding you in your training, surely you can accelerate progress and boost performance? But does it really mean you should invest in a personal trainer? Here we explore the key things you need to consider before making your next move with Lifestyle Coach and Owner of Breathe Fitness, Anthony Mayatt. Completely new to training or not seeing the results you want? “If you’re unsure how to reach your health goal, a personal trainer is a great option,” says Anthony Mayatt. “Your trainer will guide you during and away from your sessions. They will take you out of your comfort zone to make sure you keep improving. They will see you as an individual and not a generic person, and tailor a program especially for you.” The big question you need to ask yourself is: What am I trying to achieve? There are endless approaches to training. It’s only when you know what your personal objective is can you make a realistic call on whether you can achieve it on your own. If you’re unsure about the time and financial commitment a personal trainer brings, jumping in at the deep end may not be the right answer. “There’s plenty of free and accessible information out there to help get you on track,” says Mayatt. Trainers need to see the dedication and personal investment that tells them you won’t be there a week or two, and then disappear. If you have money concerns or don’t feel ready to fully commit to your health project, I wouldn’t worry about getting someone on-board. Take the time to do your homework, and be honest with yourself. What sort of program should you expect? How many hours are you going to need to put in to hit your goals? How many evenings and mornings are you willing to sacrifice? Be realistic. Make some provisional enquiries if you need to. If you’re comfortable with going it alone, be sure to support your training with ongoing research on exercises, techniques, approaches and nutrition. There’s nothing less productive, and potentially harmful, than going into the gym blind and making it up as you go along. Many who take the plunge too early find themselves with a trainer who doesn’t deliver on their early promises. Investing in the wrong trainer can be an incredibly de-motivating experience, and often deters people from their program completely. Horror stories are avoided when you ask the right questions from the start. If you’re thinking about engaging with a local trainer, make sure you get to know their background before you commit to anything. “Find out what qualifications they have,” says Mayatt. “People often forget to ask this, yet it’s so important. There are some really bad personal trainers out there who don’t have the proper training, or haven’t maintained and refreshed their knowledge”. We often hear stories from people in the sports community, about the years they spent hitting the same performance levels, but never seeing any real progress. Only when they made the decision to enlist a trainer or coach did they see the physical development they wanted. Downtime Podcast host and mountain biker, Chris Hall, understands these frustrations all too well and is a great example of how a trainer can unlock the next stage of your progression. This is where personal trainers can change everything. Getting yourself on the road to transformation starts with small changes that add up to your end goal. 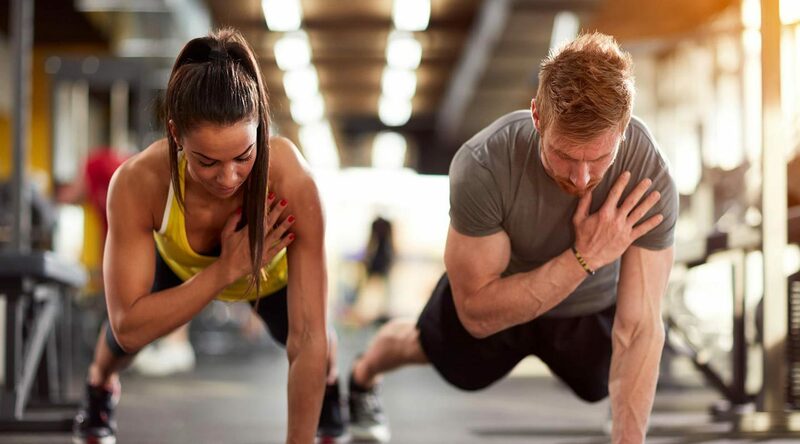 Not only will a good personal trainer give you the tools and knowledge to train smarter, they’ll also help to bring a balance to your wider routine. Should you invest in a personal trainer? Hitting your goals doesn’t happen overnight, it’s a journey that requires focus, dedication, and a willingness to transform your day-to-day lifestyle. If you’re ready to do that, then connecting with a personal trainer may well be the best thing you ever do.